Saanich West November Royal Oak & Northridge Real Estate Market Report. Saanich West-Royal Oak & Northridge Real Estate Weekly Review-November 7, 2015. We here at Fred Carver Real Estate Marketing Re/Max Camosun continuously monitor local real estate statistics to keep our clients informed and ahead of the real estate trends. Below you will find Royal Oak & Northridge Saanich West real estate review Nov 7, 2015. If you would like a Free list of homes for sale in this neighborhood, and if you would like more information about Buying or Selling Royal Oak and Northridge homes just call or email me. Planning on Selling your home now or in the near future? 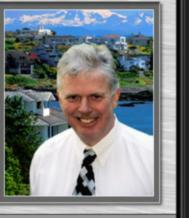 Fred Carver Associate Broker Your Area Specialist. Fred it looks like your market in Royal Oak and Northridge is still going even with the weather cooling down. Looks like a gorgeous area! Hi Anna Banana Kruchten We are encountering a very low inventory of available Single Family Homes For Sale...You know what follows next, UPWARD Pressure on home prices.